Stratofly are affordable sportive halfrim sunglasses. At the same time they convince with many details that otherwise are only offered by valuable glasses. Furthermore the slim and barley noticeable frame allows an optimal ventilation. The temples tips are equipped with the innovative Anti-Slip System which allows secure and comfortable wearing. 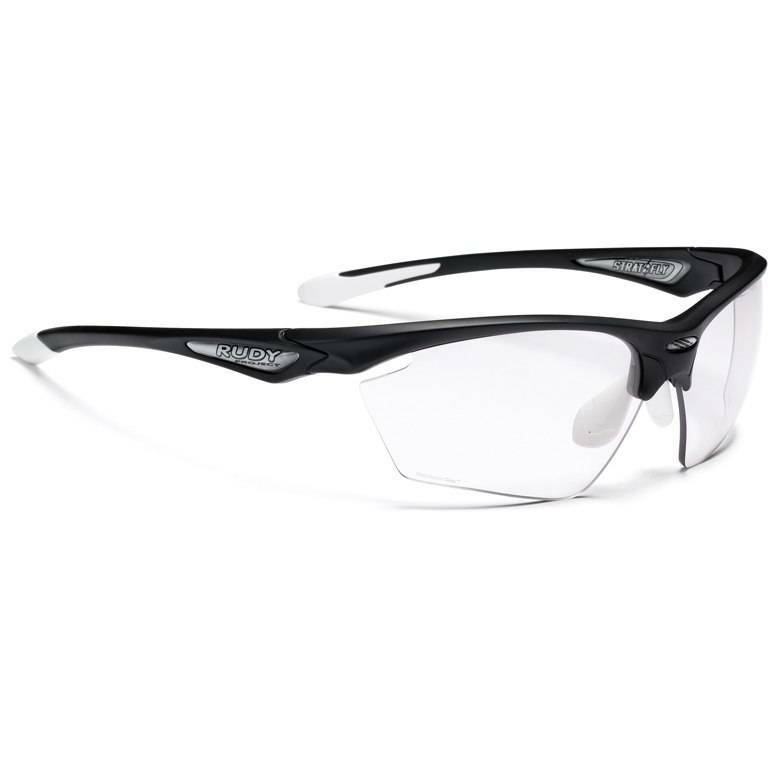 Additionally the temples are endued with the Safety Project technology which is a unique Rudy Project feature that creates fold-in-hinge without any sharp edges. Designed to minimize injury in case of impact or falls. Also the Ergo IV nosepad can be adjusted for secure and comfortable fit. 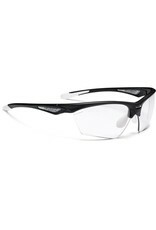 Rudy Project's Quick Change System admits quick and easy lens changing. The Photoclear lenses offer a light transmission of 26-75% and protect from bright sunlight as well as from snow, rain and fog. These photochromic lenses provide unique tint management technology, getting dark or clear depending on the present amount of light. The glasses can be glazed via Clip-On for installation of correction lenses. Please note, those lenses have to be customized individually from your optician for a distortion-free sportive pleasure.